As the London stage play "Harry Potter and the Cursed Child" prepares to open in less than two months, author JK Rowling stands behind the decision to cast a black woman in the role of Hermoine, calling online detractors "a bunch of racists." The role of an adult Hermoine was given to award-winning actress Noma Dumezweni, who an Olivier Award for excellence in stage acting. "With my experience of social media, I thought that idiots were going to idiot," Rowling told the Observer (via The Guardian). "But what can you say? That's the way the world is. Noma was chosen because she was the best actress for the job." The author, who created the story for the play, has made it clear that she didn't write Hermoine with a skin color in mind. "I had a bunch of racists telling me that because Hermione 'turned white' – that is, lost colour from her face after a shock – that she must be a white woman, which I have a great deal of difficulty with," said Rowling. "But I decided not to get too agitated about it and simply state quite firmly that Hermione can be a black woman with my absolute blessing and enthusiasm." The play, set to open July 30 at the Palace Theatre, is broken up into two parts. Written by Jack Thorne, it's based on a story by Rowling about Potter in adulthood. 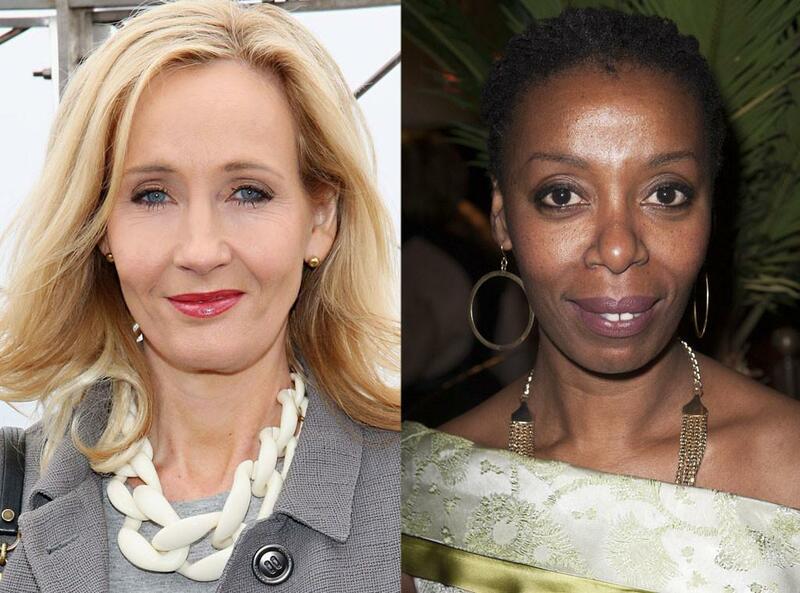 The play's director John Tiffany made the final call on casting Dumezweni. "I am not as Twitter-familiar as [Rowling] and Jack, so I hadn't encountered its dark side, which is just awful," said Tiffany. "But what shocked me was the way people couldn't visualise a non-white person as the hero of a story. It's therefore brilliant that this has happened." The plot revolves around a grownup Potter, who is an "overworked employee of the Ministry of Magic, a husband and father of three school-age children." His youngest son Albus never wanted to inherit his family's legacy as he and his dad are confronted with darkness from unexpected places.